Forget shopping. Let Cladwell help you create a minimal wardrobe and get dressed every day. 1. Tell us about your closet. 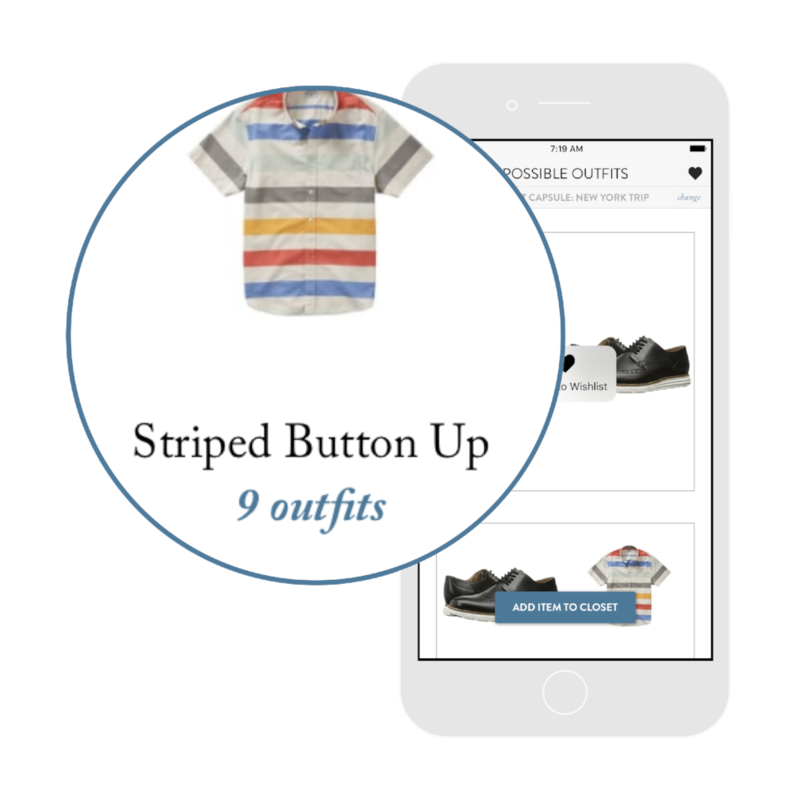 Tap on the items that are similar to the ones you own from our growing database. No need to take photos. 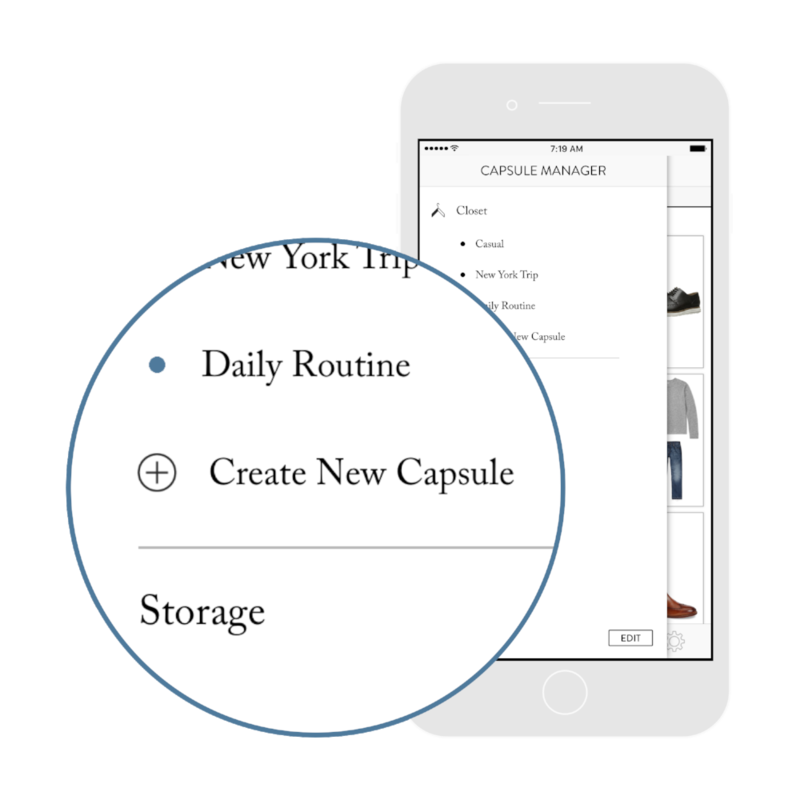 Organize your closet by your activity, season, event... Get outfit ideas personalized to your weekly activities. 3. Get daily outfit ideas. Personalized for your weather, occasion, and style. Or, select any item in your closet and see every outfit idea. 4. Discover what you love. Log the outfit you wear, and with each passing day, you get more insight into what you love and what you don’t. Once you discover what you don’t wear, you can easily cut the clutter to make room for items you really love. Before you buy something, check to see how many new outfits you can create. Walk out the door feeling great about what you're wearing. Trim 15 minutes from your morning routine and don’t worry about the weather. Forget about shopping or what to wear and focus on more important things. Instead, we show you exactly what to wear using similar clothes from your closet. Get style advice every day for as low as $0.75/week. No ads, no sales, no additional purchases. Get three days of daily outfits and see if Cladwell and the minimal lifestyle is right for you. Save $600 per year by living the minimal lifestyle. Let our professional stylists dress you every morning. That’s a win, win.